I find a lot of people struggle with how to make their makeup last all day, particularly on the eye area. It's so frustrating when you've spent a lot of time creating an eye look and blending all your shadows perfectly to find that an hour later it's all creased and already starting to fade. Sometimes it can be due to the eyeshadow itself, maybe it lacks pigment or just doesn't have the staying power to last the day. This doesn't necessarily mean it's cheap eyeshadow, I've bought from high end brands and had this happen. Another reason your eyeshadow may crease and fade is because you have oily eyelids. Some eyelids naturally secrete more oils and when mixed with your makeup it can cause it to start sliding off or wear off a lot quicker. Today I'm sharing a product with you that can make even the shittiest eyeshadow pop! If you don't work in the beauty industry or aren't just plain old obsessed with makeup like I am you might never have heard of an eye primer. Or you might have heard of it but just thought it's another gimmick product that you don't need. But let me tell you, this one product can literally make all the difference to your makeup look. Eye Primers are a cream based product that you dot onto your eyelid and then tap in with your finger to blend. You only need a tiny amount of product on each eyelid and it literally takes about 5 seconds to apply and blend. 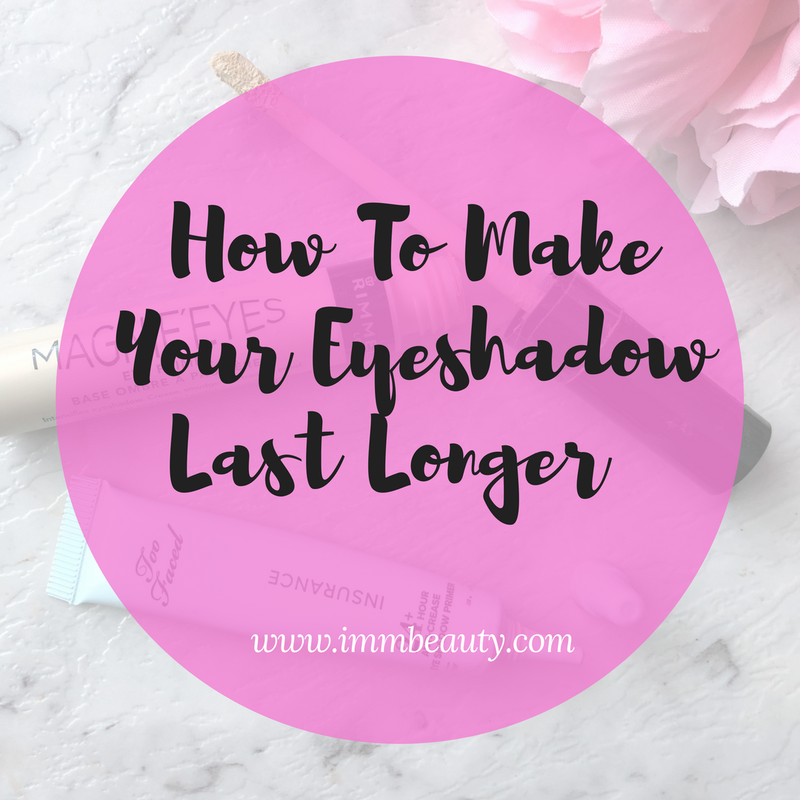 Your eye makeup will last a lot longer. I've tried a few different eyeshadow primers and today I have two recommendations for you. Too Faced is considered a high-end brand and in Australia is only available at Mecca. You might think $28 is a lot to spend on an eye primer and I guess it just depends on how much effort you put into your makeup looks and how much you want your eyeshadow to stay put. I use this one for when I'm going out for the night or if I know it's going to be a hot day and I really want my makeup to last. It's definitely the better of the two products and if you're only using it once or twice a week you'll find it will last you a really long time. This one is super affordable and if I'm only going to work (let's just pretend I have a job for a moment) or just slapping some eyeshadow on for a quick look I'll always just use this more affordable eye primer. It has a wand applicator which I use to dot on each eyelid and then I blend it in with my finger. It's definitely a much more affordable option and it does make your eyeshadow last a lot longer than without but maybe just not as long as the Too Faced one does. 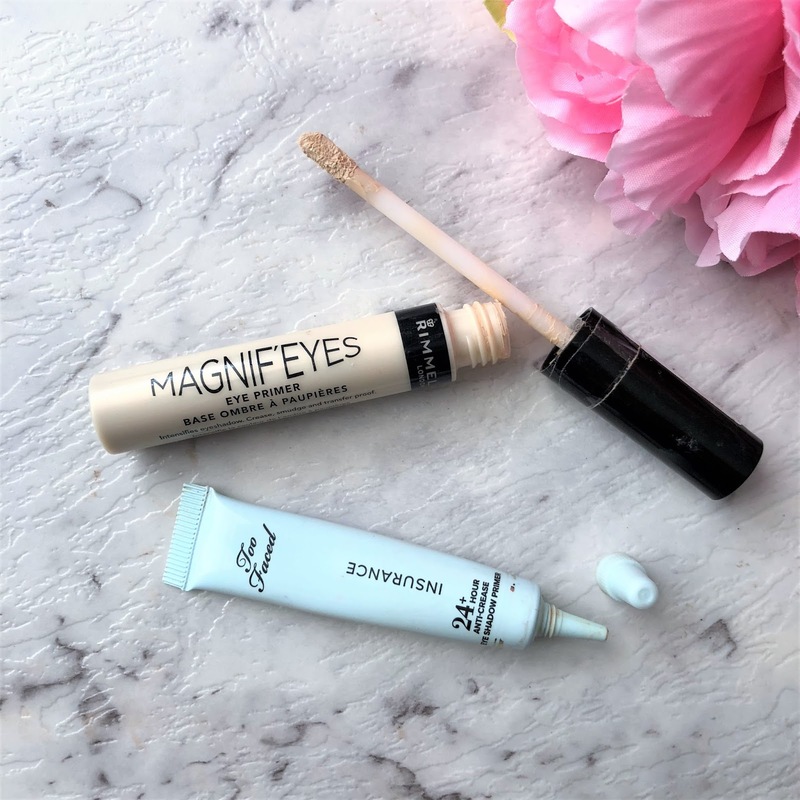 I've tried a few other eye primers in my time such as the Urban Decay Primer Potion, the Mac Paint Pots and just plain old concealer and powder but in my opinion the Too Faced Shadow Insurance and the Rimmel MagnifEyes work the best for me. I'd love to know if you've tried an eye primer before? Let me know if you have a favourite! *These products were purchased by me and everything expressed here is my own opinion.